This is my view from my front door. It's the 12th mini painting in a 31 day challenge I'm doing. 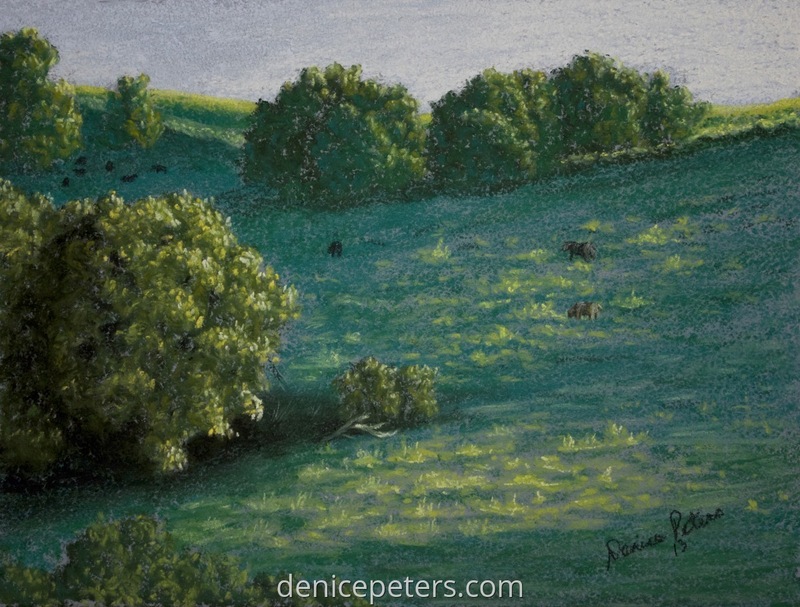 I just loved the late day sunlight shining at a low angle in the pasture. It's a 6"x8" pastel. SOLD!